This eight-CD set is a sleek affair, packaged in a plain-Jane, silver-ribbed box with just a peephole in the center. 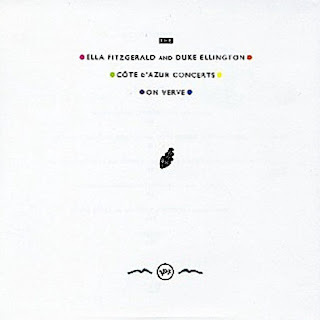 The peephole, though, looks in on the fluorescent jewel cases, each of which faithfully reproduces fantastic Duke Ellington and Ella Fitzgerald sets from July 1966 at France's Cote d'Azur. The Ellington tunes show his orchestra in long form, taking multiple sets (with some tune repetition across the CDs) and thriving in Ellington and Billy Strayhorn's tightly scripted ensemble sections. This is some fairly standard Ellington for the era, with hard-flying solos from Paul Gonsalves and myriad others. What's great is the ability to really dig in to the band, hear it work, set after set, on the tunes and the polyphonic interplay of the ensemble's sections. And then there's the eighth CD, which presents a band rehearsal with Ellington doing what drove some mad: humming sections to instruct the band, calling out key changes quickly and sounding altogether like a practitioner of an oral tradition in musical pedagogy. It's awesome to hear him and the band, banter and all. Then there are the Ella Fitzgerald sets, which are possibly the better portion here. Fitzgerald sounds mightily driven, sometimes almost boundary breaking in her execution. Vocally, she's both tight and loose, brimming with turns of phrase and belting lyrics with popping exactness. 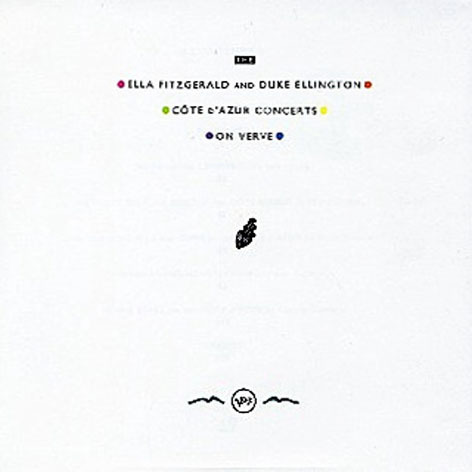 The dates caught on this box aren't regarded as the greatest for either of the marquee artists, but in terms of the sheer quality of music and their fullness of vision, Fitzgerald's tunes vie with anything else she did in her career. Sure, many of the tunes are fast and jumping, but their propulsion is largely thanks to Fitzgerald's heightened sense of play. The spiral-bound booklet accompanying this box set is a treat, with all its pop-art slyness and off-the-cuff frankness.